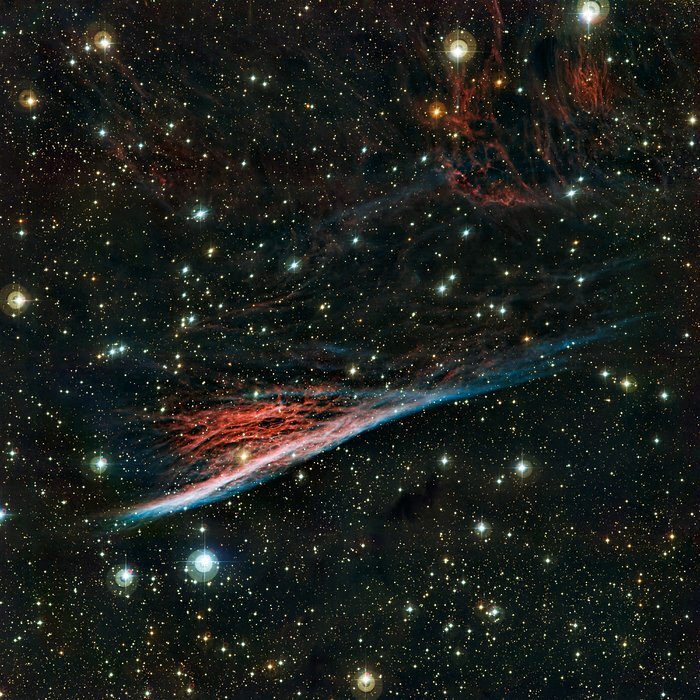 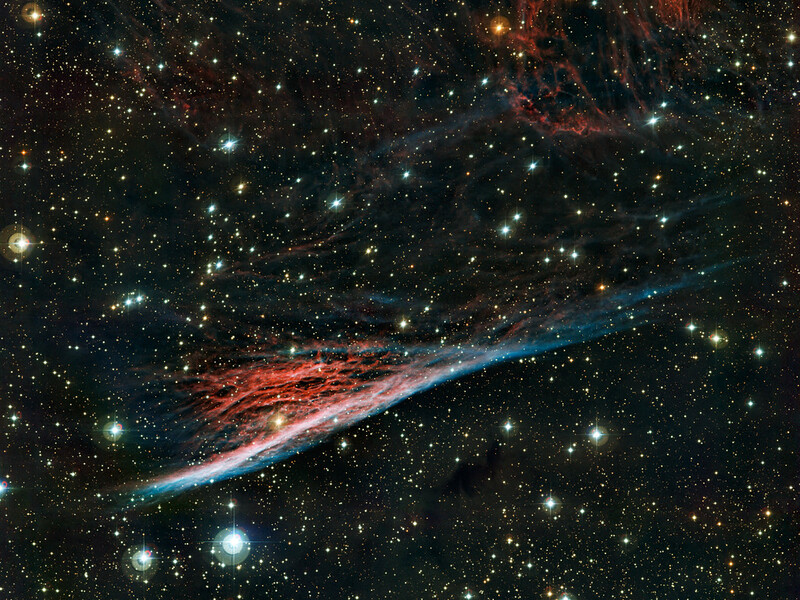 The oddly shaped Pencil Nebula (NGC 2736) is pictured in this image from ESO’s La Silla Observatory in Chile. 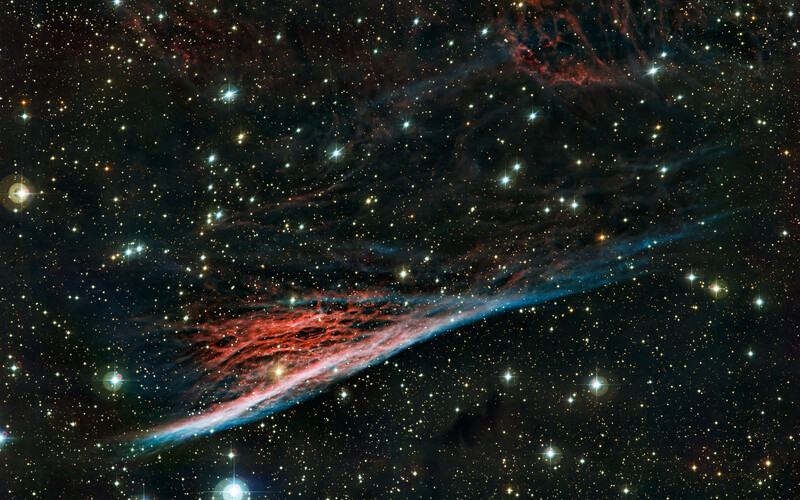 This nebula is a small part of a huge remnant left over after a supernova explosion that took place about 11 000 years ago. The image was produced by the Wide Field Imager on the MPG/ESO 2.2-metre telescope at ESO’s La Silla Observatory in Chile. 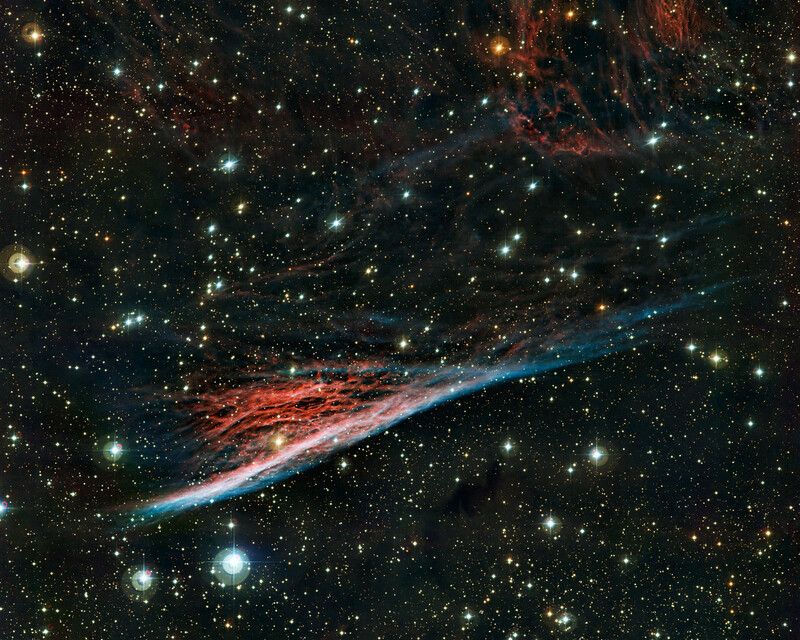 Position (Dec): -45° 57' 0.24"